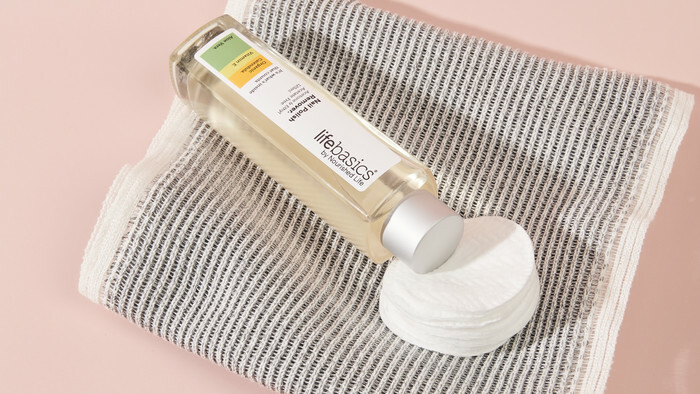 The Life Basics Nail Polish Remover is an effective, fast-acting and low-toxicity liquid formula designed to gently remove your nail polish while also caring for your nails. 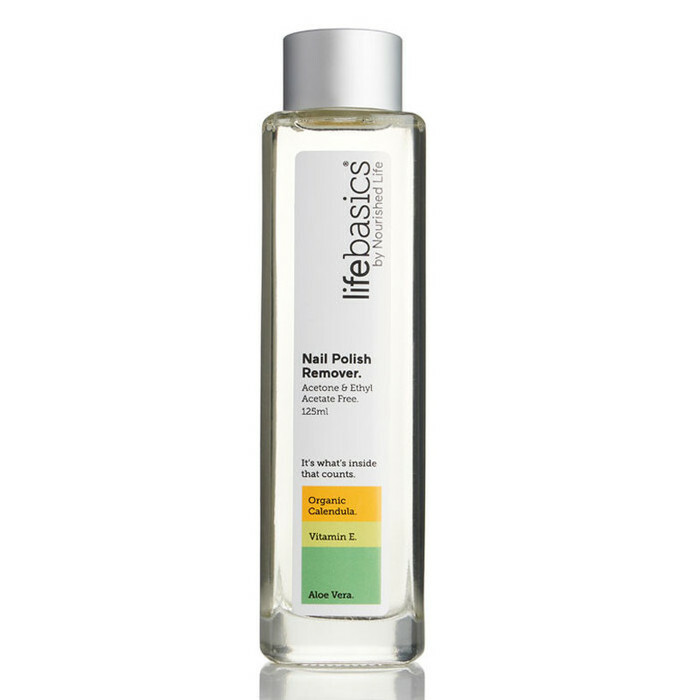 With Organic Calendula, Aloe Vera, Castor Seed Oil and Vitamin E to soothe, protect and nourish both nails and cuticles, this gentle formula makes an ideal alternative to mainstream nail polish removers, working to help keep nails soft and moisturised while thoroughly removing varnish colour. Acetone & Ethyl Acetate Free. 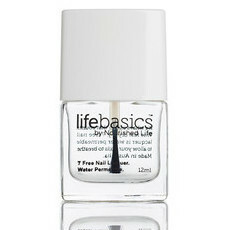 Made in Australia, Cruelty-free & Vegan. Aloe Vera, Calendula, Vitamin E.
Propylene Carbonate, Dimethyl Glutarate , Polysorbate 20, Dimethyl Succinate, Dimethyl Adipate, Water, Ethanol, Certified Organic Glycerine, Phenylpropanol & 1,2 Hexanediol, Castor (Ricinis communis) Seed Oil, Tocopherol Acetate (Vitamin E), Aloe Barbadensis (Aloe Vera) Gel, Certified Organic Calendula officinalis (Flower) Extract, Potassium sorbate. 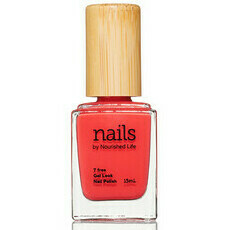 Pour a small amount onto a cotton pad and gently wipe away nail polish. I’ll continue buying this product and of course I highly recommend it. No more allergies for me! I love it. Happy to use as it's safer but is bit more time consuming without all the harsh chemicals.